The Datsun Go was launched in India last week and with the second Datsun product for our car market, Nissan India wishes to throw open doors to an all new segment in the budget-end of Indian car market. The new Datsun Go Plus has gone on sale for a starting price of just INR 3.79 lakhs, which makes it the least priced MPV one car drive home, straight out of a car dealership. 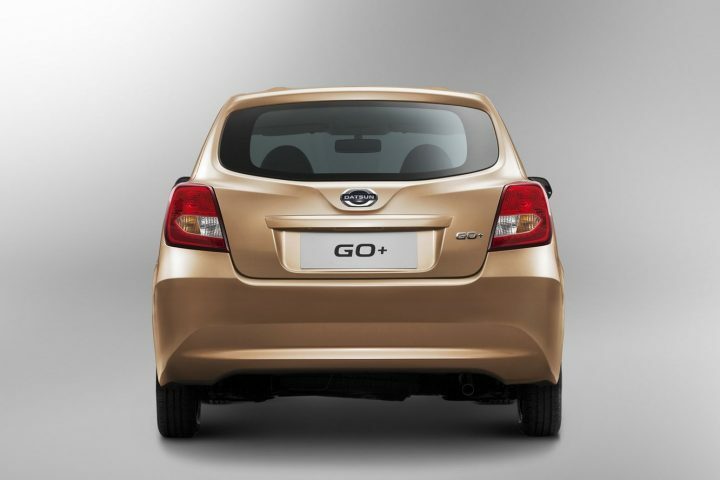 The Go Plus, as you would have guessed, is based on the Go hatchback and much like the donor car, promises to provide the biggest bang for the buck! In this report here, we list out some things that seem to be going for the newly launched MPV. Also, we give you a handful of reasons that don’t really seem to work in this model’s favour. Check them out! When was the last time you heard of a MPV that retails for less than INR 4 lakhs? On sale at prices that can be safely described as ‘ultra competitive’, the Datsun Go Plus has successfully garnered a lot of interest from everyone. Even the top-end T variant, which in on sale for more than INR 4.5 lakhs, comes across as significantly cheaper than the likes of Maruti Suzuki Ertiga LXi and the Honda Mobilio E. The almost unbelievably low price has to be the biggest reason one would drive this car home. The new Go Plus is the only passenger car that provides seven seats for less than four lakh rupees! True, the new Go Plus would nary win a beauty contest, but admit it, the Go Plus looks much better than some other sub-4 metre UVs we have seen in recent times. The new Datsun looks exactly like its hatchback sibling when viewed front on, which isn’t really a bad thing. In side profile, it looks a tad under-tired, but the character lines just about manage to prevent this car from looking bland. The rear-end has to be our favorite part of the overall design and this car’s derriere does manage to impress us with its neat design. 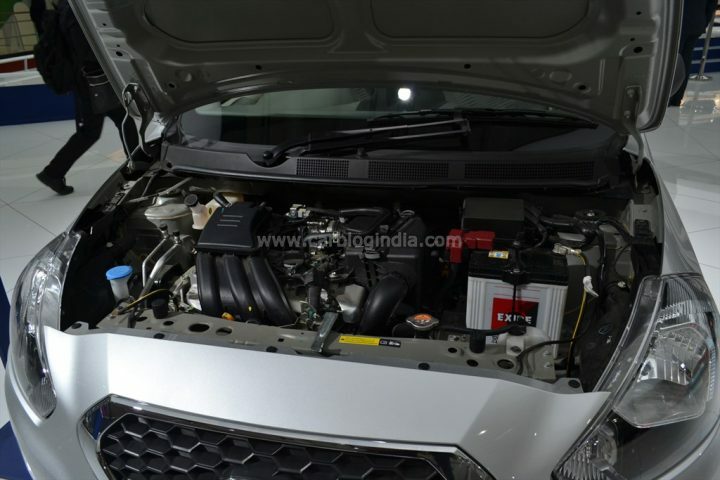 The Datsun Go Plus is powered by the same 1.2-litre normally aspirated petrol engine that powers the Go hatchback. However, in spite of weighing 20 kgs more, the Go-based MPV is far from a lousy performer. On the contrary, the 67 PS motor, which has been re-tuned for the Go Plus, offers a good amalgam of performance, fuel efficiency and refinement. 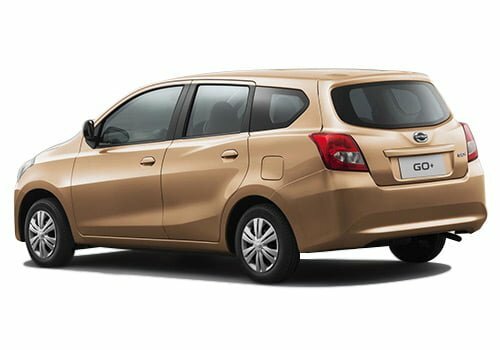 Like we’ve been saying, the new Datsun MPV is based on the Go hatchback, which in turn, is based on the last generation Micra. While this connection doesn’t make the Go Plus the most modern MPV around, it does ensure that the new model benefits from tried and tested underpinnings. 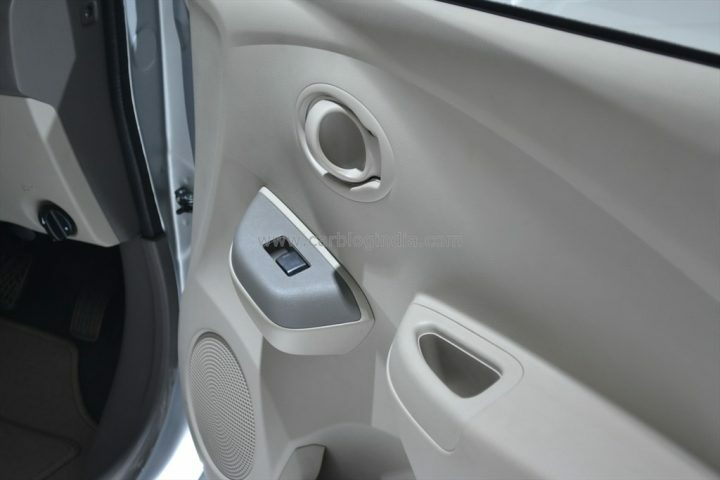 While we never had really high hopes from a MPV whose USP is its low selling price, we would want Datsun India to offer features like rear power windows, central locking, advanced infotainment system, front passenger airbag and alloy wheels, at least as optional extras. 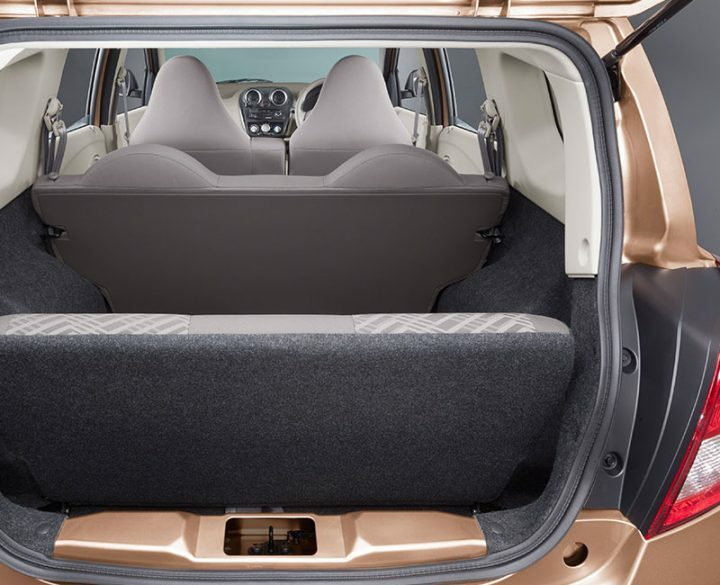 The Go Plus has three rows of seats, but that doesn’t really make it a spacious car. Boot space is almost laughable with the third row of seats in place and even with the rear-most seats folded, it is nothing really to write home about. Legroom for the middle row can be best described as adequate and the last row of seats are strictly meant for children or pets ONLY! Datsun India has no plans of launching a CNG or a Diesel variant of the Go Plus, which means that the latest Datsun MPV might not become a favorite of most fleet operators. 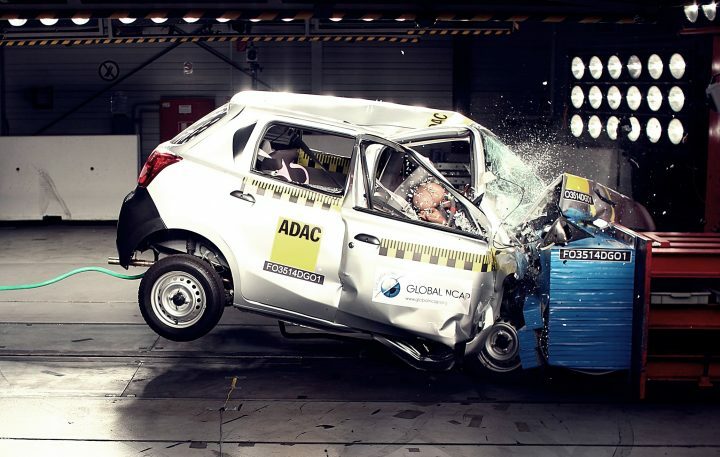 The Go hatchback performed really poorly at Euro NCAP crash tests, which means the Go Plus won’t be miles better in this aspect. Sure, there’s an optional driver’s airbag on offer, but what about the structural rigidity? Stay tuned to Car Blog India for Datsun Go Plus Review Video and other details.